Directions: From Pueblo, head southwest on CO 78 to the town of Belulah. Continue west on 78 and turn right into the park. 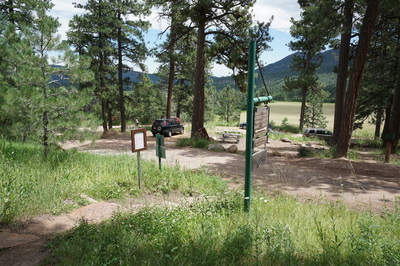 Grab a map at the entrance kiosk and follow the signs towards the Ball Fields and Picnic Area. 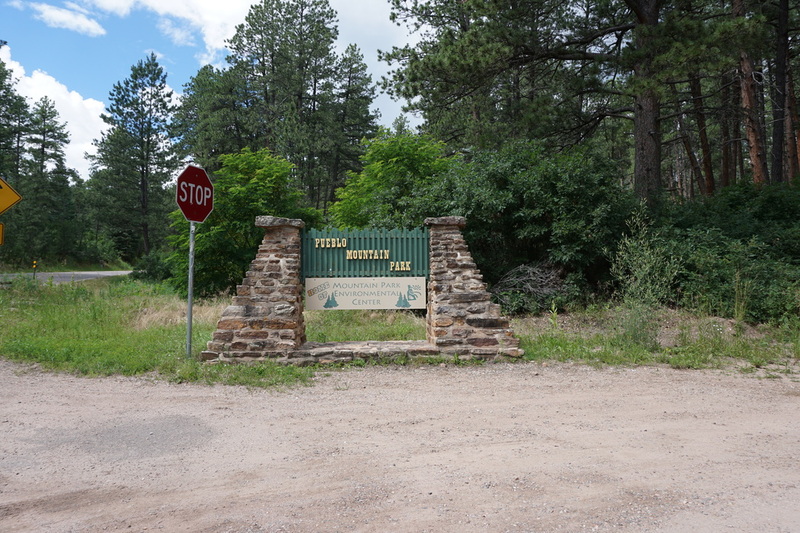 The trailhead is just up the road. 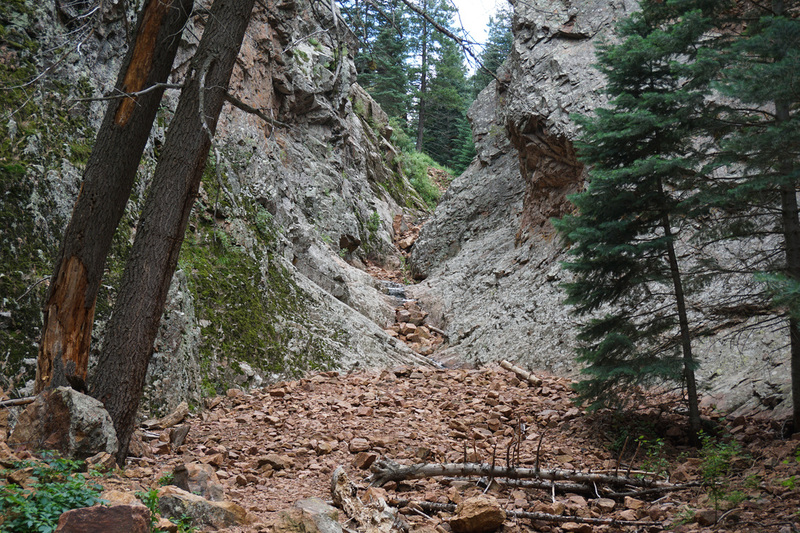 The roads in the park are dirt and, in some places, rugged. I would highly suggest at least an SUV, but there were plenty of 2WD cars parked at the Ball Fields. 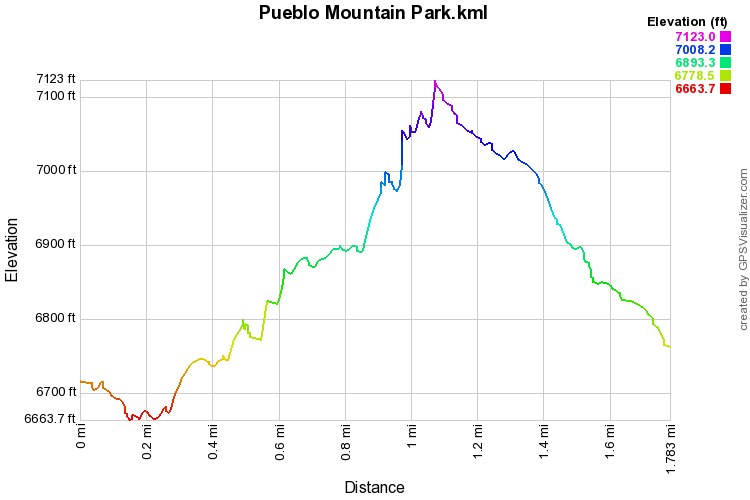 Pueblo Mountain Park is a terrific resource. 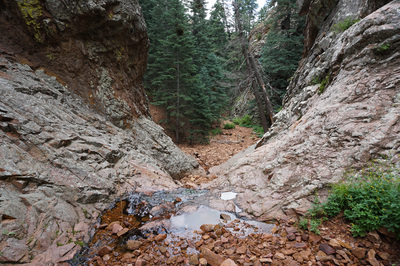 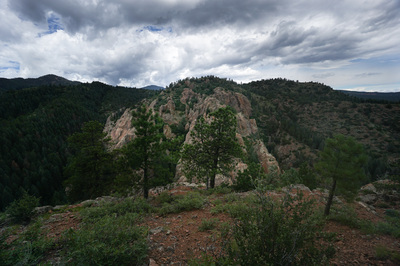 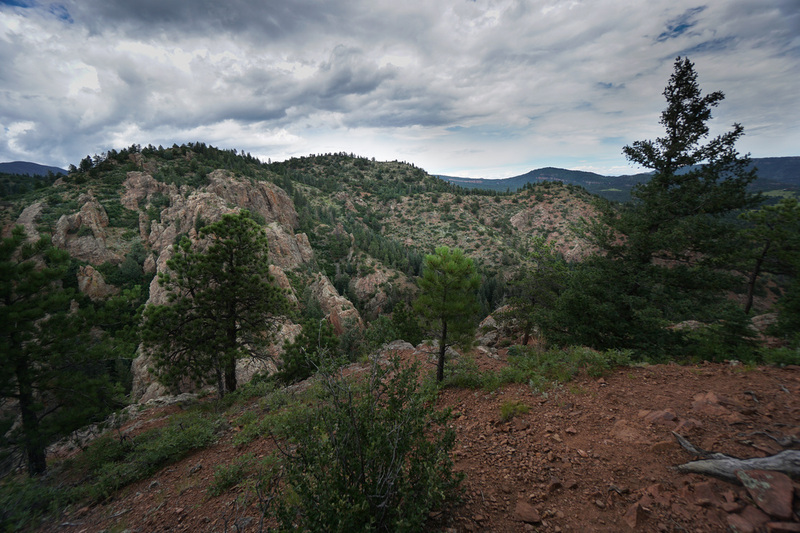 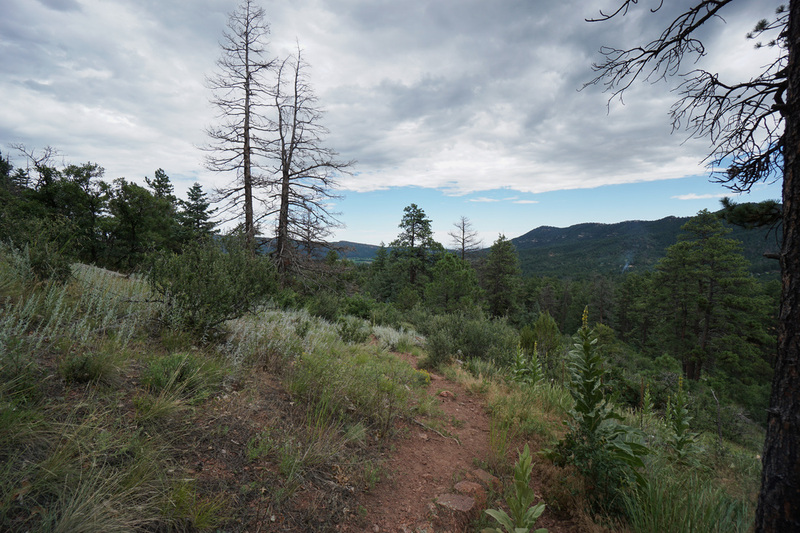 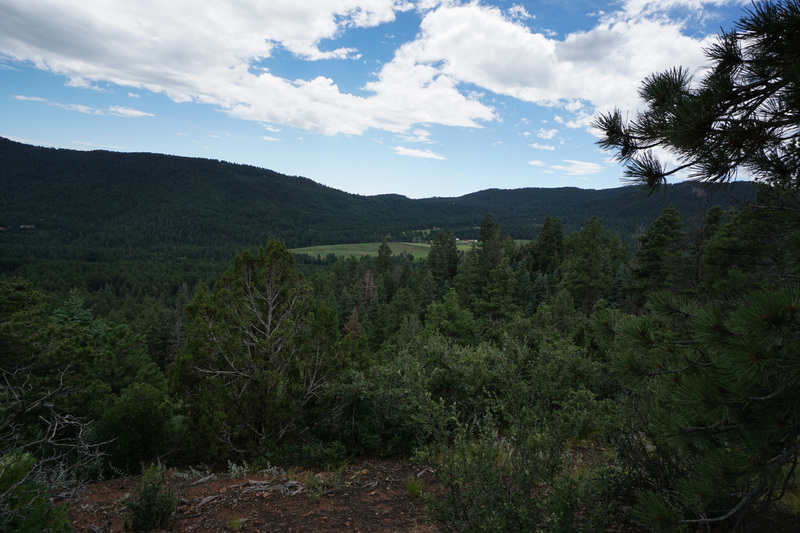 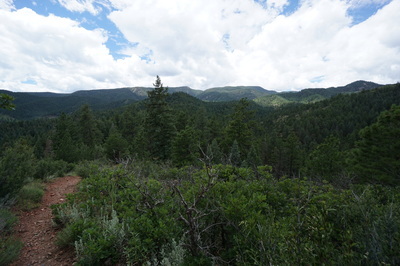 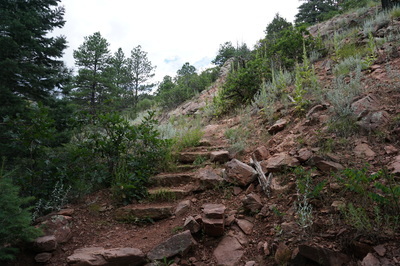 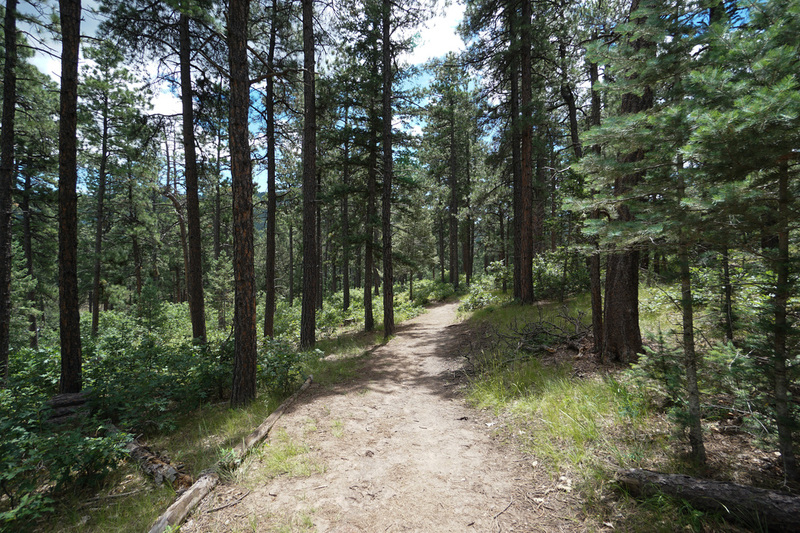 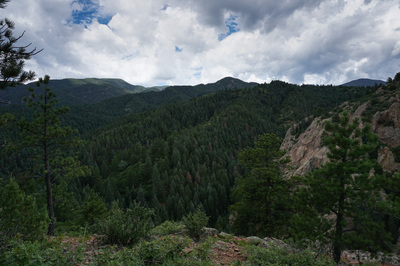 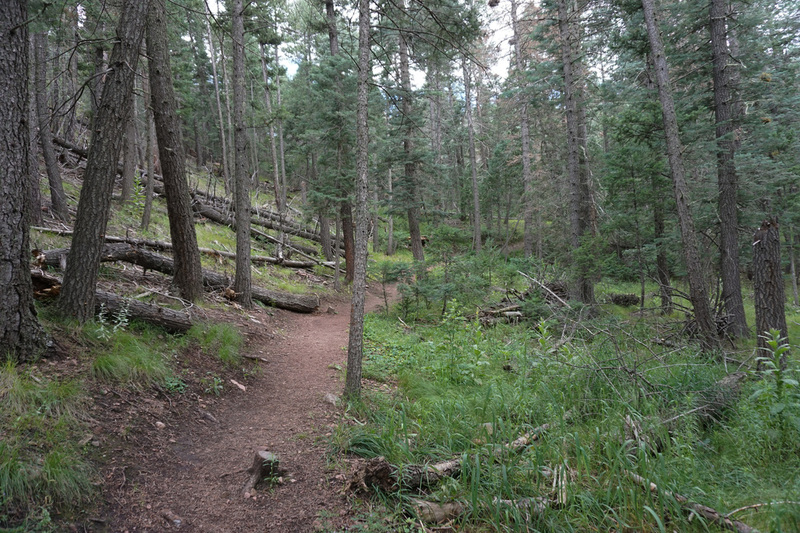 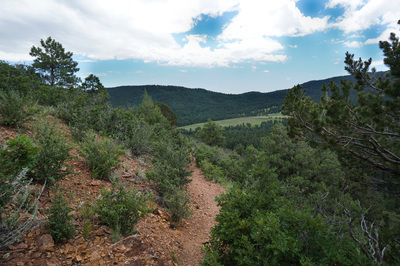 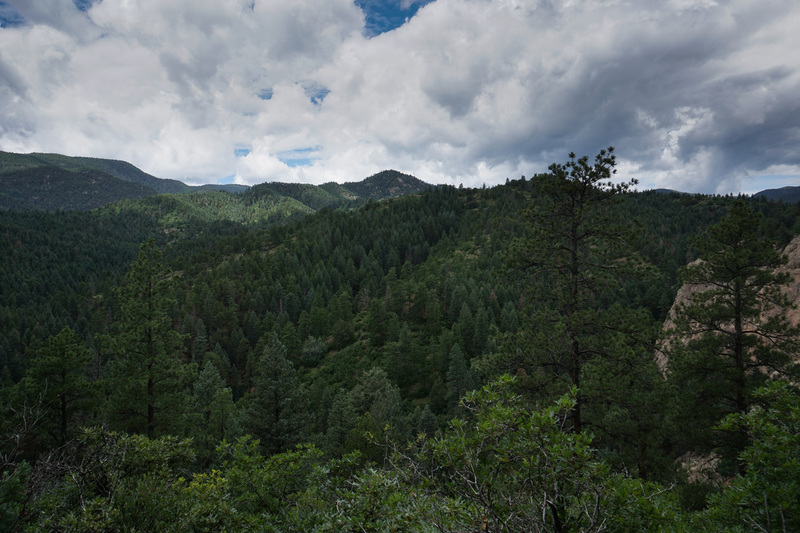 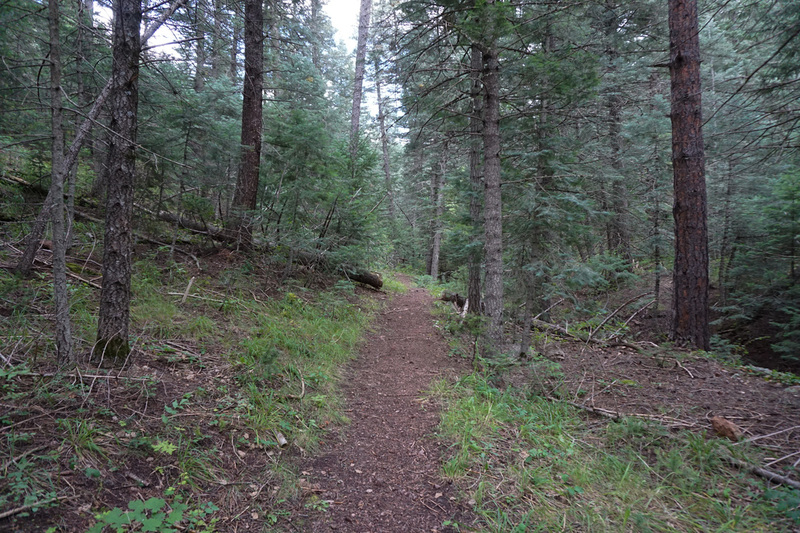 Aside from the Environmental Center, ball fields, and picnic grounds, the park host a wonderful trail system that connects to the San Isabel National Forest. 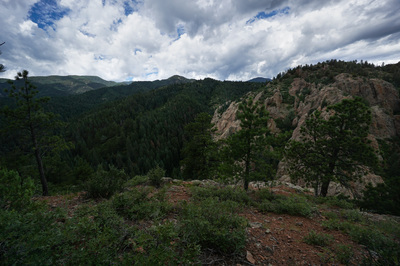 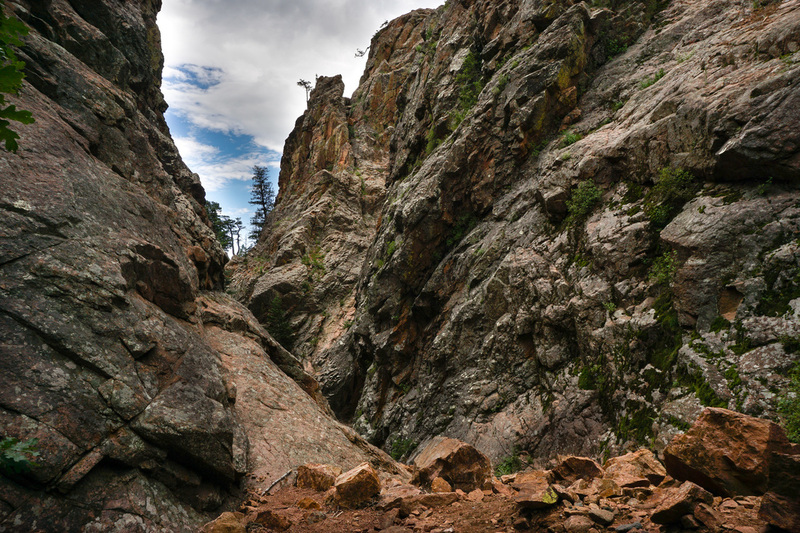 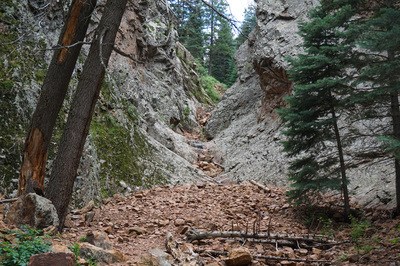 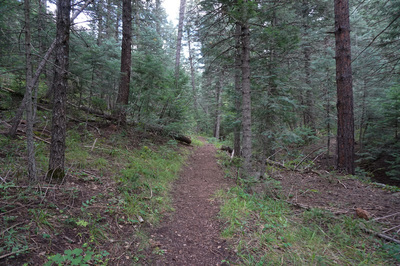 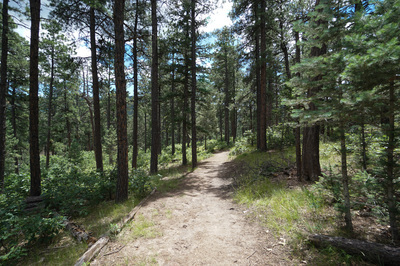 The park is situated on the eastern side of the Wet Mountains (a sub-range of the Sangre De Cristo Mountains). 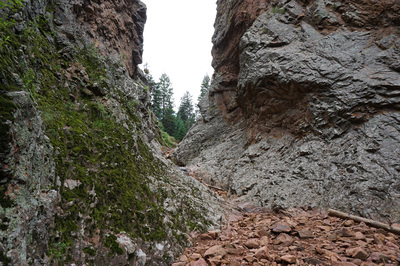 The Devil's Canyon > Mace Loop is very popular and for good reason. Kids and adults will both like this hike, especially the climb through the narrow Devil's Canyon and the view from Lookout Point. From the Devil's Canyon Trailhead head down the gulch and cross the dry creek bed. 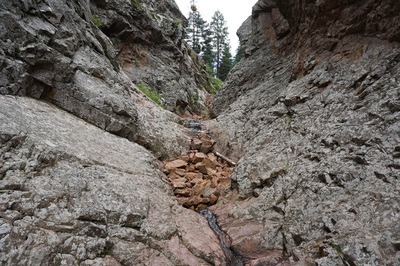 The trail will cross the creek various times as you gently climb to Devil's Canyon. 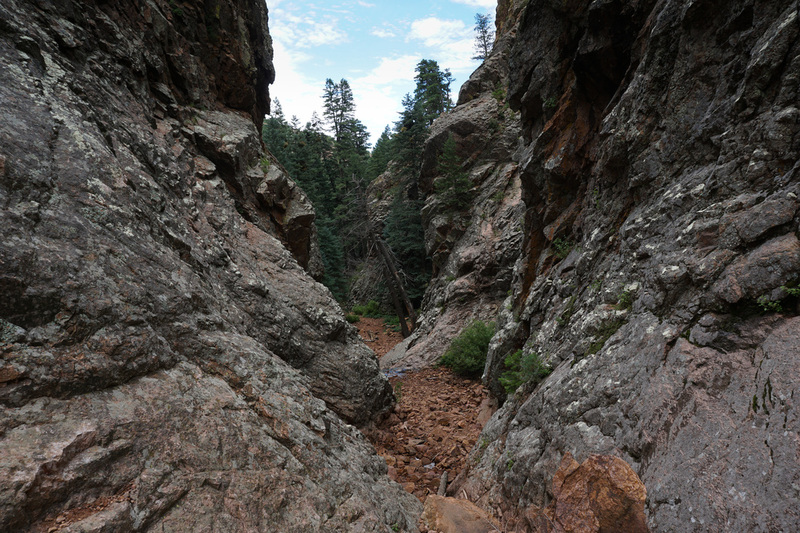 When you reach the gates of the canyon, you'll know it. 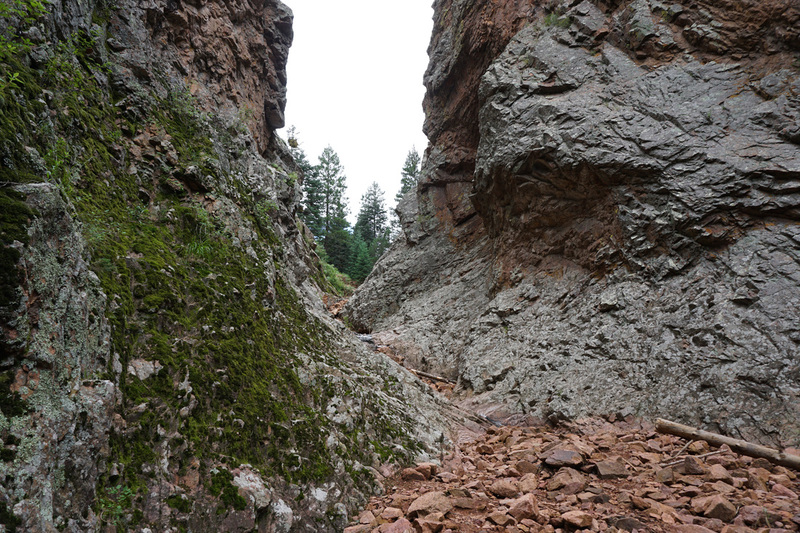 This section is the most fun and requires some boulder hoping and scrambling up the narrow canyon. 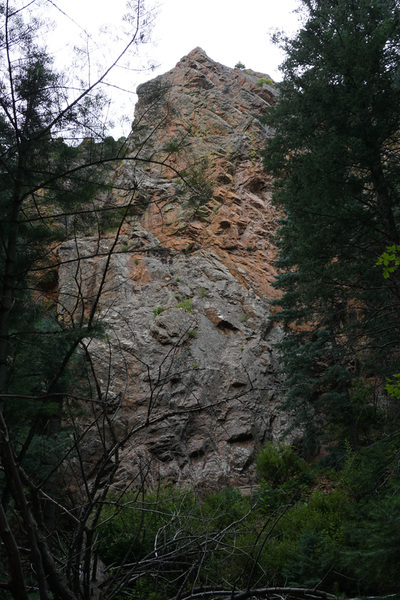 The only problem is that it is too short. 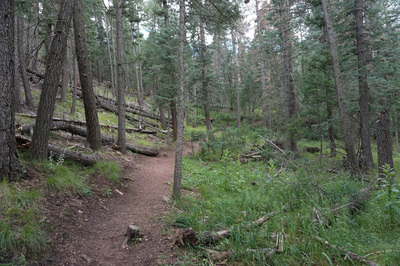 After only a few minutes you're through the canyon and back in the forest. 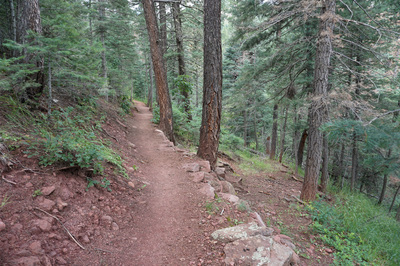 Rise on some switchbacks up and out of the canyon to the junction with the Mace Trail. 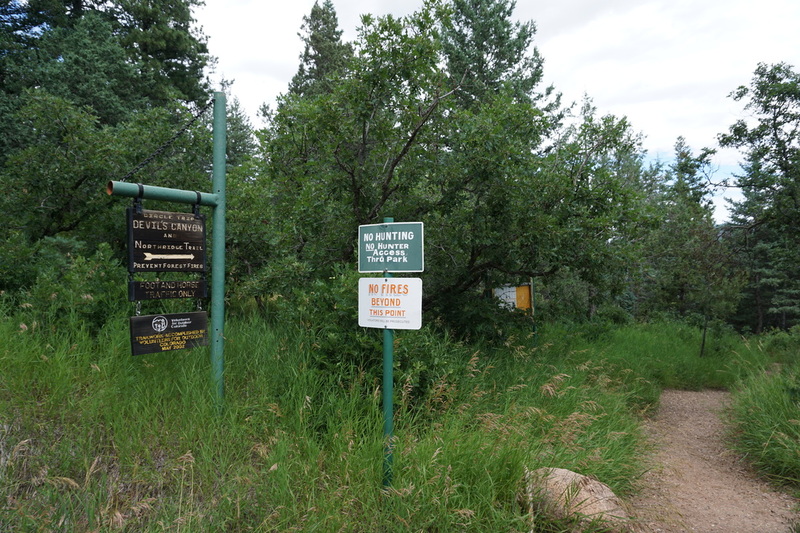 Turn left at the junction (straight will take you to the Fire Lookout Tower) and turn left again to Lookout Point. 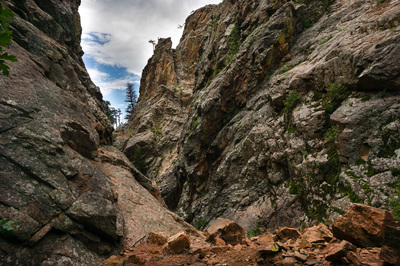 Here you are rewarded of wonderful views of rock formations and rolling Wet Mountain hills. 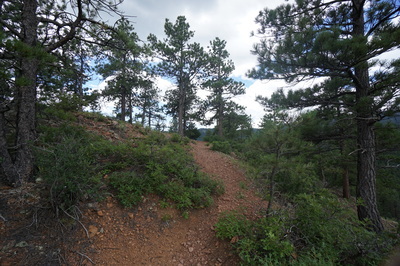 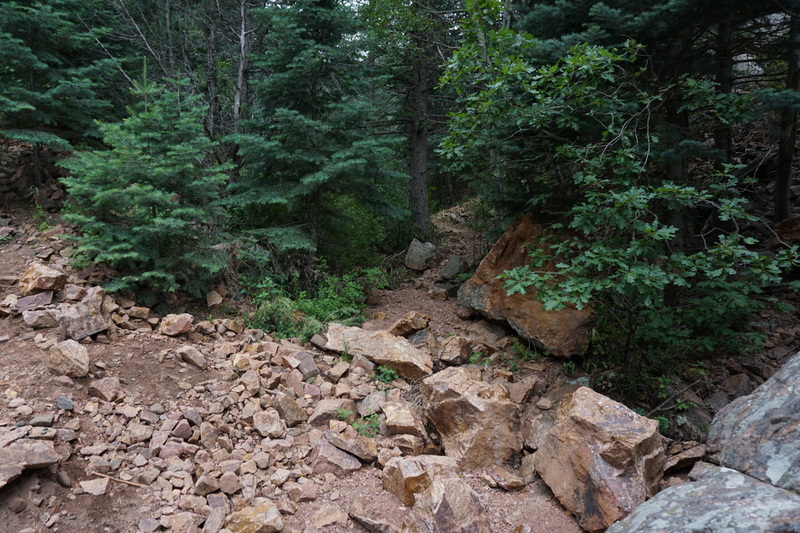 Continue on the Mace Trail along the red rock ridge with continuing views and head down back into the forest and to the Mace Trailhead. 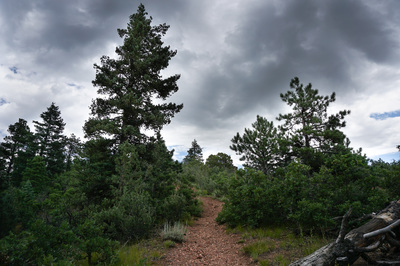 Although this hike is short and sweet, there are plenty of opportunities to link to other trails in the system for a longer hike in the Wet Mountains.